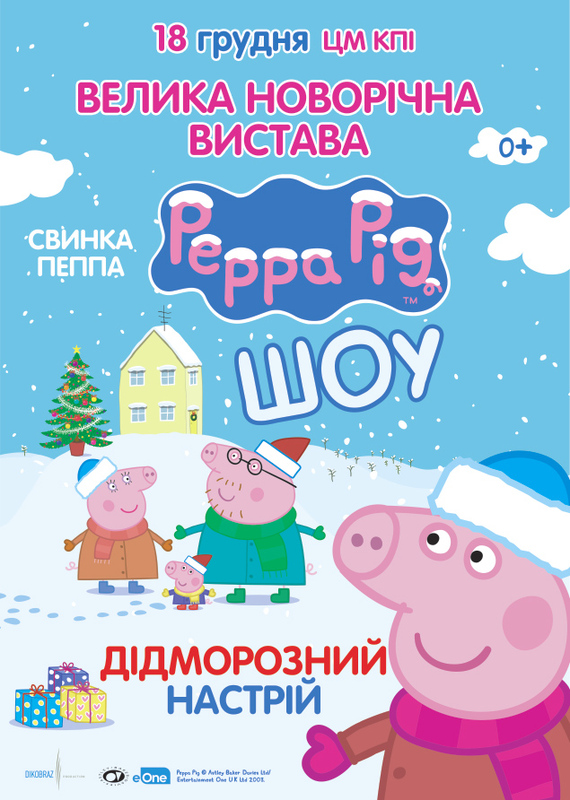 The cartoon about Peppa Pig has lots of little fans in 180 countries of the world, but Ukrainian kids are lucky most of all. They will meet with their favorite, and not on the TV screen, but in live communication. They can only dream of such a gift, so parents always save up all the most fun, interesting and fabulous before New year, is it right? Hence, in your family a main surprise before the main winter holiday will be tickets for the whole family to the show “Peppa Pig. Santa Claus’ mood”. Now there are a lot of different children show, but just this can be called as unique. Toddlers will believe that they were in beloved cartoon TV series where all the dolls depicting the main characters performed brilliantly, their realism will impress even the adults. In a fabulous performance will take part Peppa, her parents, brother George and other recognizable characters. Children and adults will have a great time, singing songs, participating in interactive games with the audience and in search of Santa Claus. Well, when Santa and Snegurochka will be found, it will be time to move on to the main — the activation of lights on a Christmas tree!